34' 6" Boston Whaler Defiance, very rare and hard to find in this pristine condition. This is the ultimate salt water sports fishing boat and only 200 were manufactured. 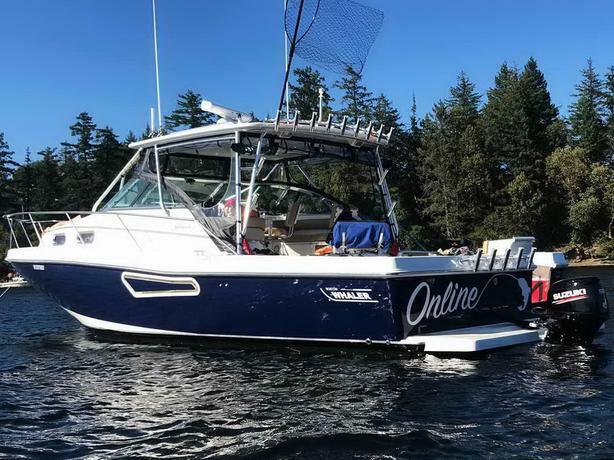 Exceptionally nice ride for offshore fishing like tuna with a deep V hull and level trim offering great visibility. This vessel offers easy engine room access, lots of storage and double berth forward. In 2017/2018 there was a complete update giving it a ready to fish and play scenario.